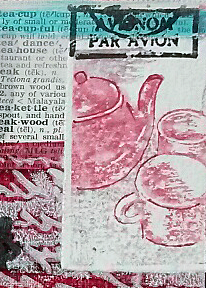 If you follow my personal blog, Remains of the Day, you may already know that I recently experimented with a few ways to add color to a solid image stamp (RubberMoon's Teapot and Mugs). 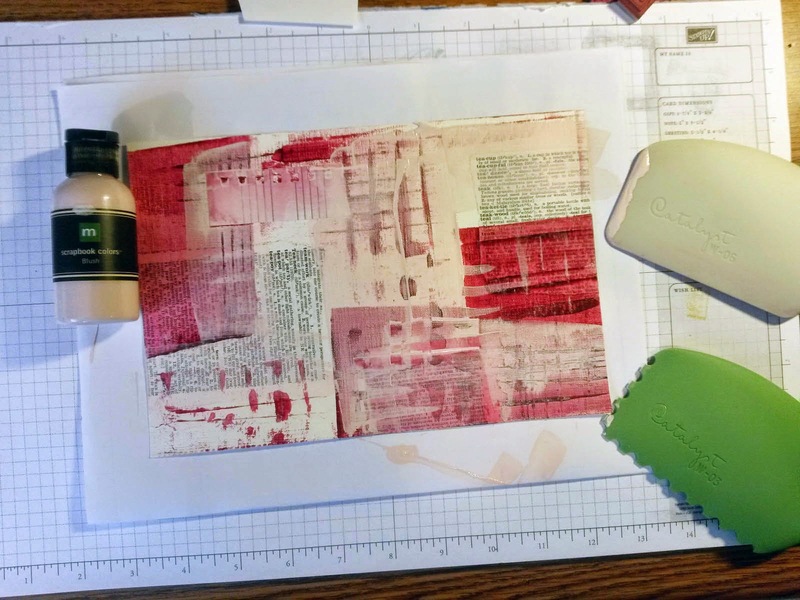 First, I used matte gel medium to glue down the tea-related dictionary clippings, then used my new paint wedge tool by Catalyst along with Golden Fluid Acrylics and Making Memories Acrylic Paint to lay down a base of color. 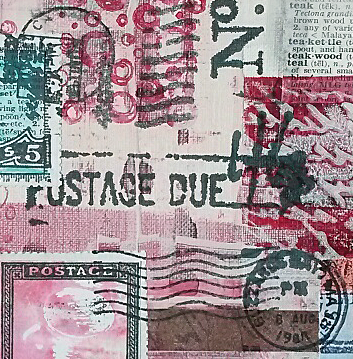 ...and then I added the postal cancellation images as the finishing touch! 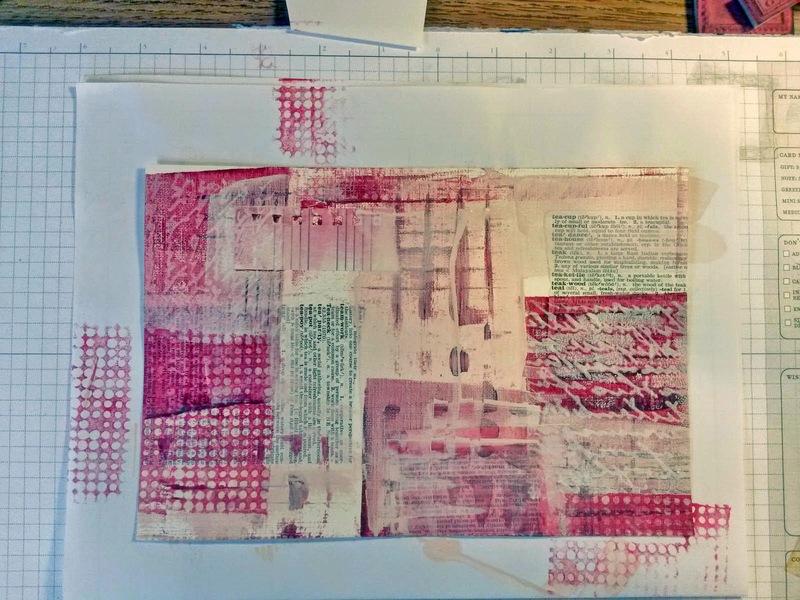 I really love this Colleen. You have such a talent. Wonderful job. Wow! This is such a visual feast for the eyes! 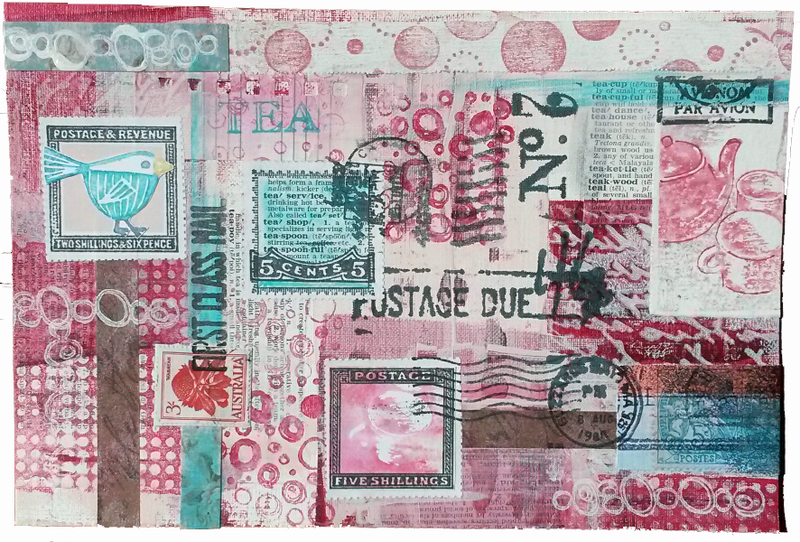 Great layering of postal stamps. Nice collage! 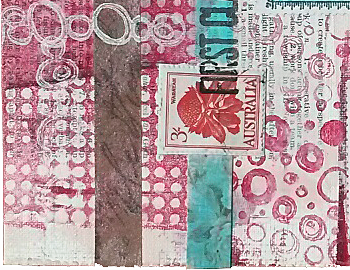 I love this Colleen, wonderful layers! This is so cool. Love everything about it!